A new £8m hotel, bar and restaurant for the Ormeau Road, Belfast, has been approved by Belfast City Council. 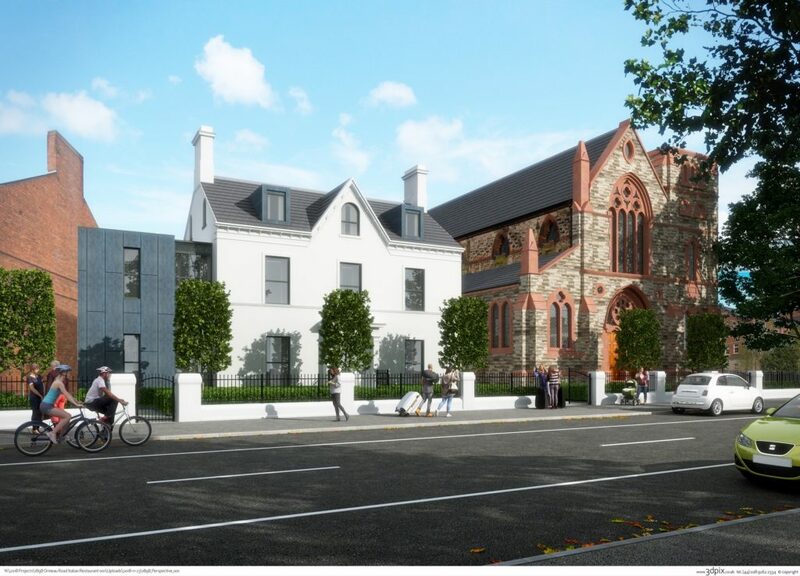 Part of a significant new investment by the Galgorm Collection, owners of the Galgorm Spa & Golf Resort, the plans for Belfast’s newest hotel will regenerate the derelict Holy Rosary Church and an adjacent Parochial House building at 348-350 Ormeau Road. The 19th century grade B1 listed building has lain derelict since its closure in 1980. The site is currently being restored and preserved in advance of its opening in Spring 2020 and will comprise of 18 bedrooms, a new bar and a restaurant. The ground floor will encompass the kitchen & bar which has been styled on a similar group-owned venture launched at Galgorm Castle Golf Club earlier this year, and which will provide a 150 seater BBQ smokehouse restaurant with wood-burning firepit. Additional off-street parking of up to 20 spaces have also been secured as part of the application following representations made by local residents during the consultation phase, the company confirmed, while an agreed travel and management plan will also now be adopted. Around 100 new jobs will be created as a result of the approval. An additional 30 jobs are also being created during construction, design and fit-out phases. The Galgorm Collection includes the Galgorm Spa & Golf Resort, the 3AA Rosette River Room Restaurant, Gillies Bar & Grill Restaurant, Fratelli’s and Café Parisien in Belfast. In February, the collection confirmed that it was adding the 24-bedroom Templeton Hotel in Templepatrick to its hospitality portfolio as part of a £7m investment.